Five years after bringing swift justice to Gotham-themed San Francisco as Batkid, Miles Scott is enjoying a much more typical life for a 10-year-old boy. Back in 2013, the shy youngster and leukemia survivor from Tulelake, California, captivated the Bay Area and beyond, busting criminals in the city by the bay, rescuing the San Francisco Giants mascot and earning a key to the city as part of his day-long Make-A-Wish Foundation experience. 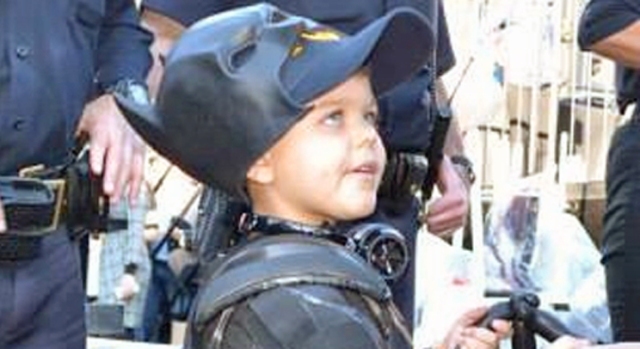 Scott, now 10 and in the fifth grade, has taken a break from his crime-fighting duties to return to school, play baseball and help out on his family's farm, according to Make-A-Wish, the nonprofit organization that grants dream-come-true wishes to children suffering from critical illnesses. Undoubtedly the best part of Scott's young life is the fact that he's been in remission from leukemia for the last five years, according to Make-A-Wish. He was first diagnosed with the cancer at the age of one. While Scott enjoys his normal life nowadays, his life was anything but five years ago Thursday. Donning his Batkid mask, a flowing cape and an all-black superhero ensemble, Scott stymied villains such as the Riddler and the Penguin to the cheers of thousands of people who crowded the streets of San Francisco to partake in the wish. Scott's memorable day received the attention of, among others, the San Francisco Chronicle, which transformed its front page to showcase the wish, and even then-President Barack Obama, who delivered a special message via Vine to the crime-fighting boy. More than 16,000 people RSVP'd to volunteer to help with the spectacle, according to Make-A-Wish. 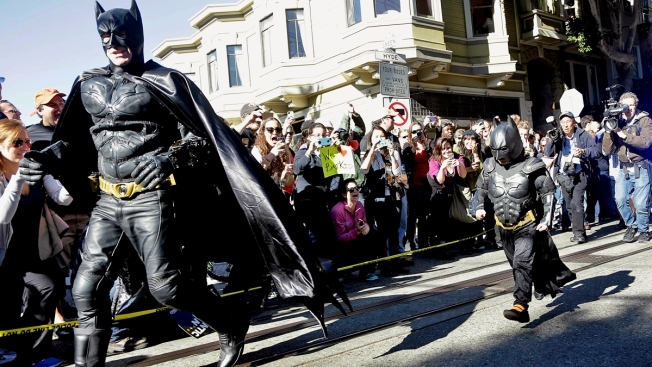 The number of tweets featuring the hashtags #SFBatkid or #Batkid soared beyond 545,500. The entire phenomenon was said to be discussed in at least 117 countries. Scott's monumental day was so illustrious it inspired a full-length documentary coined "Batkid Begins: The Wish Heard Around the World."